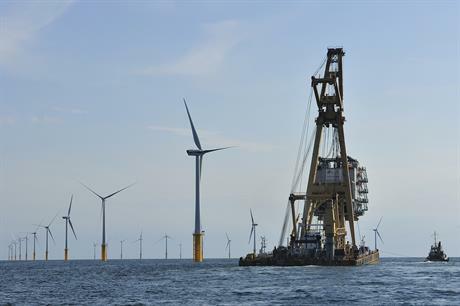 BELGIUM: The government has reached agreement with developers Parkwind and Otary to award a strike price of €79/MWh for its next three offshore projects: Northwester 2 (224MW), Mermaid (300MW) and Seastar (252MW). The support is awarded for 16 years, but can be extended if the wind conditions are less favourable than expected. The price represents a significant fall compared to the €124/MWh agreed last year for Norther and €129.8/MWh for Rentel, and to the €138/MWh awarded to Belgium's first offshore projects. Grid connection is not included in the price. The move will save the consumer around €3.9 billion, according to energy minister Marie-Christine Marghem. "We have succeeded in being able to build wind turbines offshore at one of the best prices in Europe while delivering our 2020 climate goals," Marghem said. The new strike price is in line with a report earlier this year by the federal offshore wind regulator Creg arguing that Belgian support was too generous. It estimated that Northwester 2, for example, should receive between €62.14-80.45/MWh, excluding connection. The agreement has now cleared the way for the three projects to proceed to financial close, expected next year, with commissioning due in 2020. They will connect to the modular offshore grid (MOG), which grid operator Elia expects to be fully operational mid-2020.